Our car leasing company is different in many ways from traditional leasing businesses in the auto leasing industry. Our clients decide to lease a car with Auto Lease Queens because of our multitude of car options. Many corporations carry a single line of vehicles. Another key dissimilarity is the fact that we run our business entirely online. Most other firms conduct day-to-day business at an actual location. Unlike sales people at other companies, our sales representatives emphasize stellar customer service over closing a sales deal because our clients deserve to be treated in the best manner possible. If you are looking for a company with representatives that will give you informed information without having a bias toward any specific vehicle brand, then reach out to us at your earliest convenience. We are certain you have taken note of our discounted auto leasing rates all over our website. We deliver reasonable car lease deals to our clientele. You are welcome to compare our rates with other auto leasing businesses in the Queens area. You are going to find that the rates provided by Auto Lease Queens are far less than the competition. 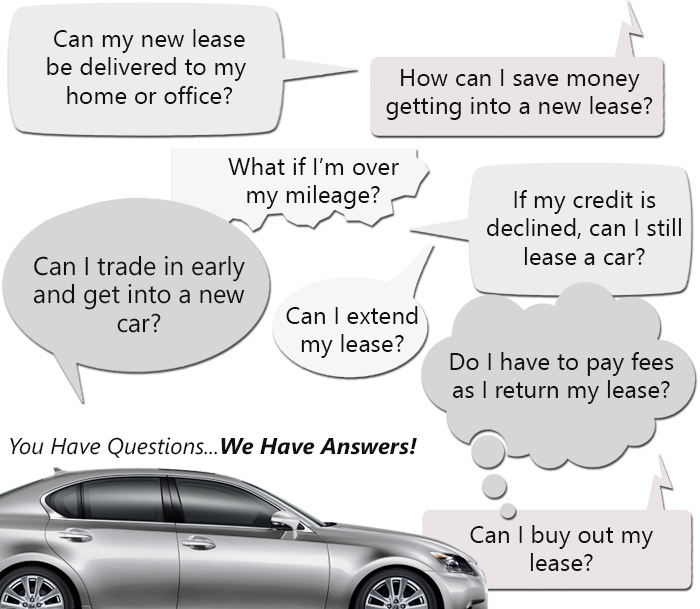 Additionally, we customize the auto leasing payment plans to mesh with our clients’ needs. If a company selects to do business solely online, they cut out a lot of unnecessary expenses from their budget. This is precisely what we decided to do and have been quite successful. By lowering our expenses, we can give our clients a break on their auto lease rates. If you would like to receive more details on our auto leasing practices, or info about our autos, give us a call. You can reach us by calling (718)-412-3453. Some of our clients have leased a vehicle before switching to our company. During their lease, they made the decision to take the vehicle back to the company before their car lease contract was up. As a result, they were charged a termination fee. This is common among other leasing companies and often the fee is higher than your original rate plan. Our company differs because we are more flexible in our car leasing terms. Sometimes things do not work out as they should. We have also have some individuals who prefer to change their auto prior to the expiration of their lease. The reason behind our clients’ decision is theirs to make. We are not here to punish you for needing or wanting to be free of your contract earlier than agreed upon. We are here to provide you with options to make the transition less stressful. At Auto Lease Queens in the Queens, NY area, our car lease guidelines are clarified in depth prior to our clients signing their contract. We will never surprise you with a new rule or fee on your standing contract. Moreover, we never engage in the practice of charging isolated charges to your final statement at the conclusion of your auto lease. Obviously at the end of the lease, the vehicle will be put through a inspection procedure to see if any added fees are to be included. We will inspect things such as the returning car’s condition and mileage. We know the car will have many signs of being used. These vehicles are leased out to be driven. If you are ready to request more information on our lease return policies, please give us a call during normal business hours at (718)-412-3453.